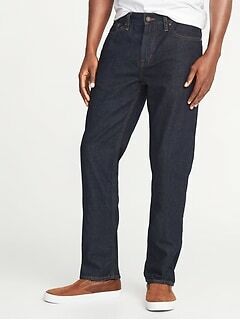 Classic styling makes the men's straight fit jeans from Old Navy the perfect choice for everyday wear. 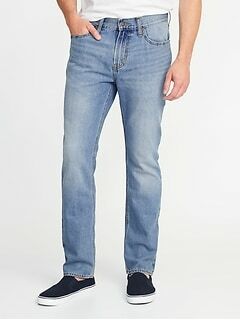 Straight fit jeans for men give you the relaxed ease you want but are a little dressier than looser styles. 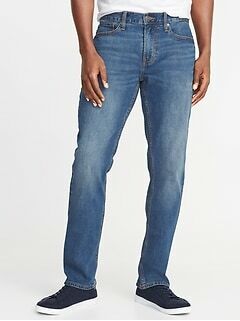 The straight leg jean is a traditional look and Old Navy makes it affordable. 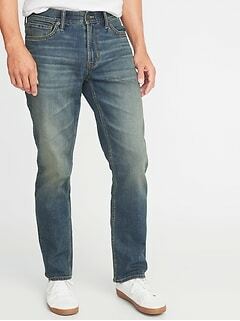 Find a variety of shades of denim blues with sanding details to soften the denim and give it character. Find colors that range from very dark to medium shades and very light so that you can find your favorite. 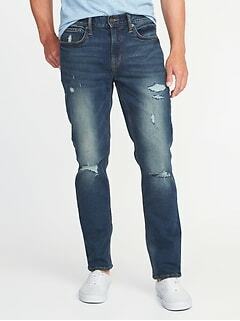 All denim fabric is not the same and we use the premium denim that lasts through repeated washings. 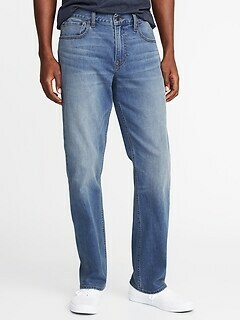 In addition, our denim is treated to make it ultra-soft for comfort. 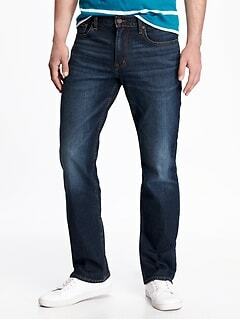 Some of the straight jeans we offer are lined with flannel for a contemporary look and for extra warmth in cold weather. 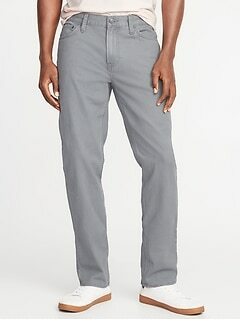 We make our jeans from 100% cotton that looks great even if washed often. 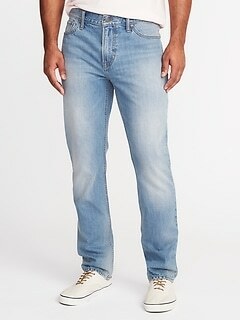 You’ll love the designer details in the construction of these denim jeans. 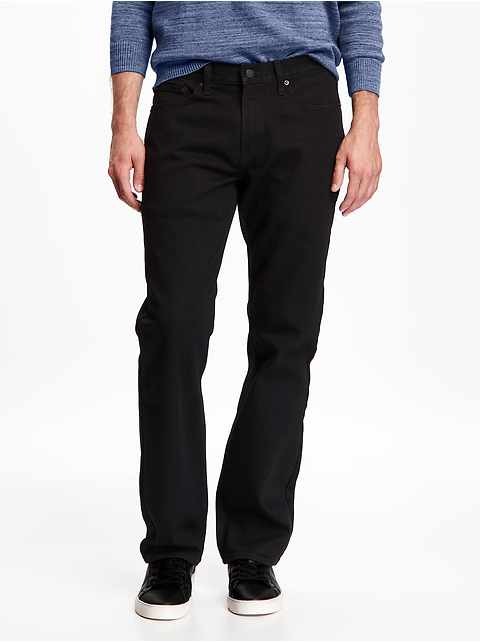 It’s easy to dress in the latest fashion with men’s straight fit jeans from this selection. 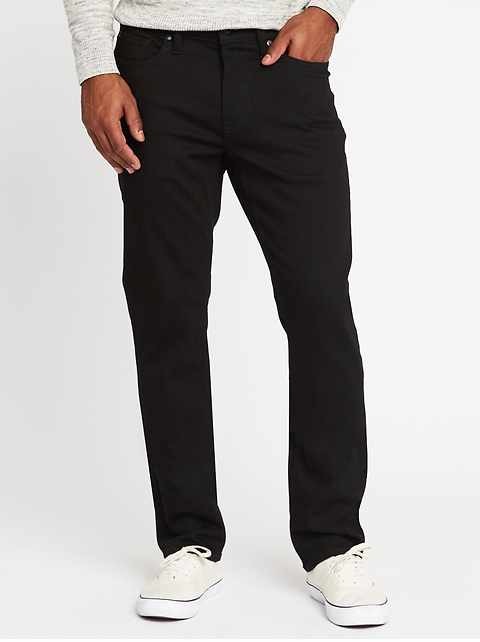 For an easy and fun warm weather look, choose a polo shirt in a bright color and wear it with our dark jeans or show off all the hard work you’ve done at the gym in a tank top. 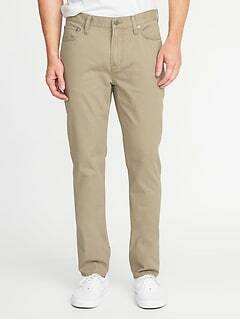 Just add some loafers with no socks or sandals and you’re all set. 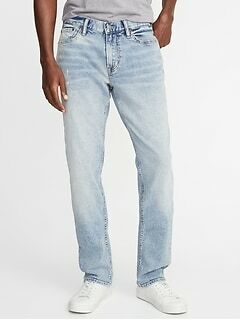 Straight fits are perfect for any weather so you can wear your jeans with a sweater and button-down shirt for fall and with a blazer for winter. Keep your look fresh by wearing a layered look with a shirt, tie and sweater vest with your straight fit jeans. 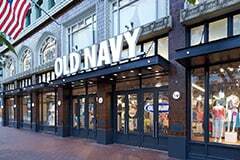 One of the trending styles that promises to be around for a while is wearing a white tee with a jacket and some very dark straight fit jeans. 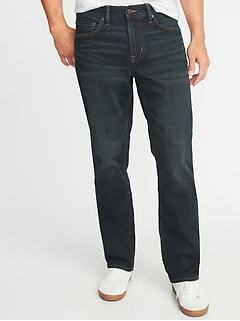 For the latest in comfortable fashion at a price that can’t be beat, choose men's straight fit jeans from Old Navy.